I’m working on my animation career. 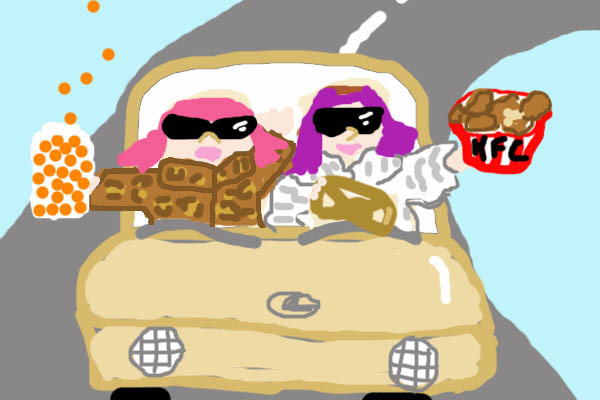 Okay, there’s a lot going on right now, but, sometimes you need to relieve your stress by creating a horrible animation loop of you and Manda, in your mom’s Lexus SUV, wearing her fancy coats, and getting KFC and cheezballs. I know you are like, “What. The. Eff.” It’s kind of an inside joke. Now you’re in the inside! 9 Responses to I’m working on my animation career. I guess I got carried away with the copy and paste!!!! That’s hilarious! I needed the laugh today! HAha yay I’m glad !